Although there may have been other Jews who settled earlier in Laconia, NH the first practicing Jew of note was David Snierson who arrived here in 1902. He had been a Talmudic Scholar in the ‘old country’ and became the Spiritual Leader of the group of Jews who came and settled in the Laconia area in the early 20 th century. Reb. Snierson taught Hebrew School, Bar Mitzvah students, and made decisions about Rabbinic Law and Kashrut. He led services for Shabbat and Holidays and imported and sold Kosher meat that was brought to Laconia from Manchester by train . In 1920 the first Rabbi was hired by what became known as Sons of Israel, the Orthodox Synagogue. He led Shabbat Services in homes and High Holiday Services were held at the Knights of Columbus Hall and other large gathering places. Among the founding members of Sons Of Israel Synagogue in the 1902-1920 era were: Achber, Alterman, Bean, Camman, Chertok Feuerstein, Gozonsky, Korn, Melnick, Rosen, Schohan, Schwartz, Wein, Zeeberg and Yaloff as well as Steinman in Plymouth. The earliest members were peddlers and later retailers. These members were of Eastern European (Ashkenazi) origin. In 1937 the synagogue was built on Court Street. It consisted of a sanctuary, small kitchen and bathroom, and a classroom on the second floor. A home for the Rabbi (who acted as a ‘schoket’-kosher meat slaughterer) was built next door .The first Torah was donated by Isaac Sakansky. By the 1950’s Jews were retailers, manufacturers, lawyers, physicians, and dentists. Dr. Nathan Brody was the first Jewish doctor given privileges at Laconia Hospital (late 30’s), Irving Selig was a Laconia Hospital trustee president; Ed Chertok, Jack Sawyer and Eugene Brindis were bank directors; Bernard Snierson was a District Court judge; and Ed Chertok became Mayor of Laconia and later a Belknap County Commissioner. Harold Achber and Henry Lipman were elected members of City Council. In 1955 the synagogue added the Max Chertok Social Hall along with a larger kitchen and new bathrooms. With new families moving to the area from Boston and New York – families who were not fluent in Hebrew prayer – the congregation transitioned from Orthodox to Conservative and by the 1960s to Reform services. The name was changed to Temple B’nai Israel to indicate that it was inclusive of women, and the Temple Sisterhood was an important contributor to social life. 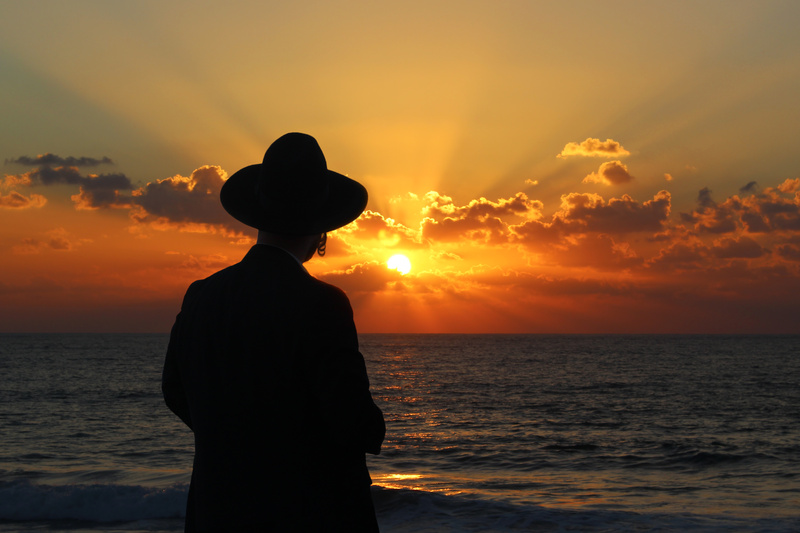 Over the years the rabbis were Orthodox, Conservative, and then Reform. In the 60’s, with no Rabbi employed because of financial constraints, TBI affiliated with Temple Beth Jacob in Concord for a few years. The children attended Sunday School weekly there and the Concord Rabbi conducted monthly services in Laconia. Student Rabbis from the NYC Reform rabbinical college conducted High Holiday Services in Laconia. The Student Rabbi and bi-weekly service format was well received and led to a relationship with the Union of American Hebrew Congregations and its Hebrew Union College-Jewish Institute of Religion in New York City that lasted from 1971 through 2008. Some of these student Rabbis are now major leaders in the Reform Jewish Movement – including: Rabbi Mark Golub-President of Jewish Television Network and Shalom TV, Rabbi Eric Yoffie-former President of the Union of Reform Judaism, and Rabbi Jeff Salkin-author of ‘Putting God on the Guest List’ and ‘The Modern Men’s Commentary’. Many of our former student Rabbis serve in Congregations, Hillels, and other Jewish organizations. Melody Funk, a TBI member, has served as cantoral soloist for more than 30 years. In 1985 TBI created the first Jewish Cemetery in the Lakes Region. It is located in a section of Union Cemetery nearby. In 2001, when it was decided that the space for the Religious School was insufficient, the Nathan and Jennie Brindis Learning Center classroom wing was added to the Temple building as well as a new unified entrance, a modern kitchen, and new bathrooms. Every construction project was financed by generous individual contributions from the TBI member families. No bank mortgage exists. The newest addition to the TBI history is Rabbi Boaz Heilman. He was accepted into the rabbinic program at Hebrew Union College-Jewish Institute of Religion in New York City in 1995 from where he received his Master of Arts in Hebrew Literature in 1997 and was ordained as a Rabbi in 1998. He became ‘our’ beloved TBI Rabbi in 2015 and over the last five years has been our resident ‘Mensch’ in the Lakes Region. He currently lives in Newton MA and will soon be moving with his wife, Rabbi Sally Finestone, to Colorado to be closer to his family there. He will be missed greatly!